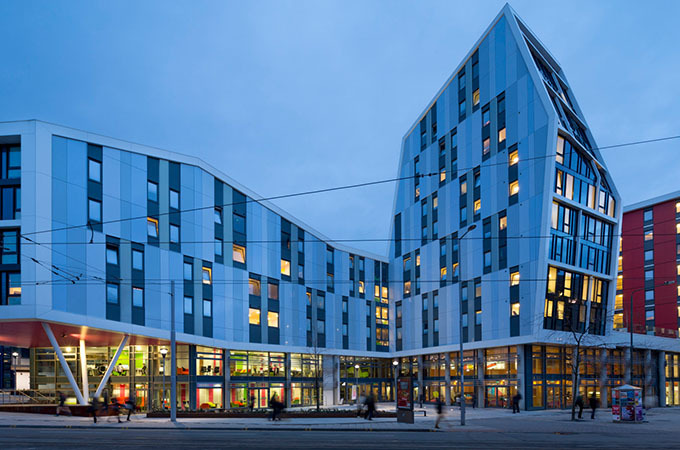 Byron House is the student union building in Nottingham Trent University, it has been widely lauded as “the best in the country”. The student accommodation it provides and penthouse style lounge space have set a new standard for student living in the city. 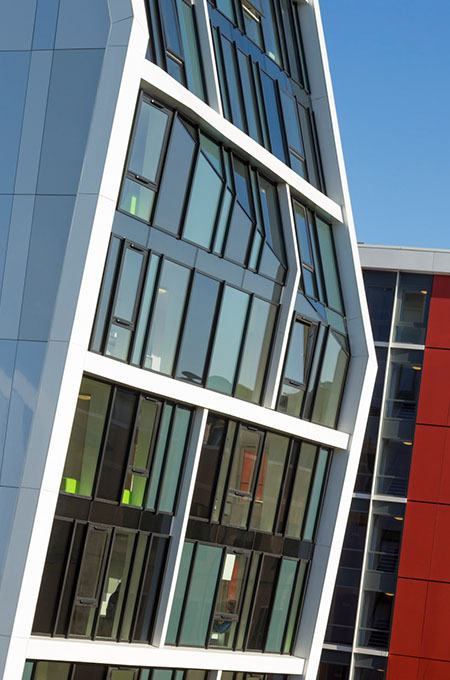 In 2014, Byron house won a RICS Design Excellency Award for East Midlands. It’s not hard to see why, the design is dynamic and multi-faceted, transforming the whole locality. 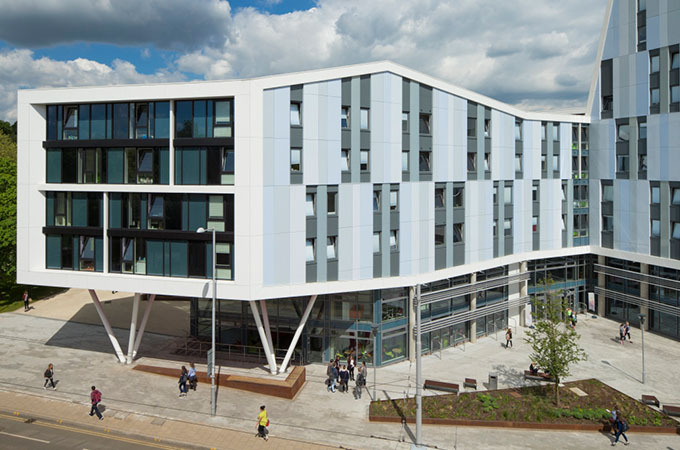 The building opened in September 2013 and has achieved the BREEAM excellence rating.